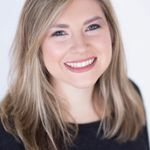 Sifting through 2018 wedding hairstyle ideas trying to find the perfect look for your big day can almost feel like you’re going down the rabbit hole. From updos, to half-down styles, to hair accessories—the possibilities are pretty much endless. But don’t let the inspiration overload freak out! We’ve answered your Pinterest’s prayers and decided to do the pinning to do the hard work for you. 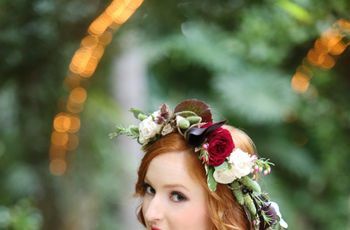 According to Pinterest’s 2018 Wedding Report, these are the most popular wedding hairstyles for 2018 brides-to-be. 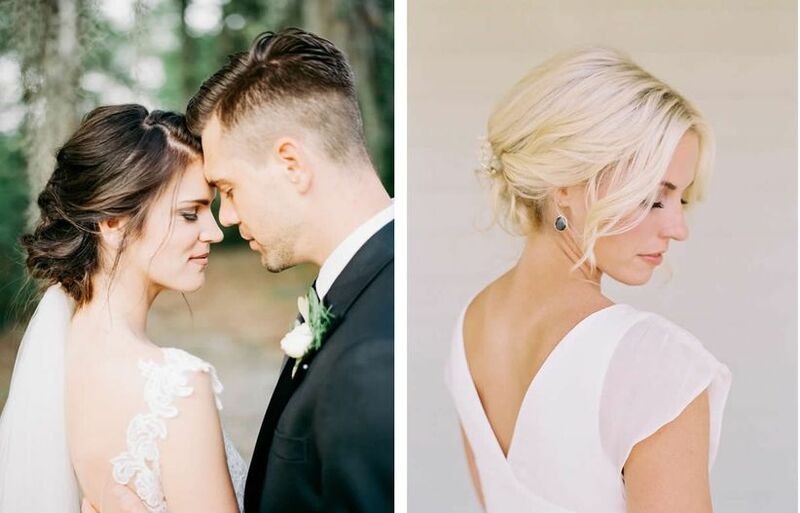 These wedding hairstyles for 2018 are giving us major hair envy. 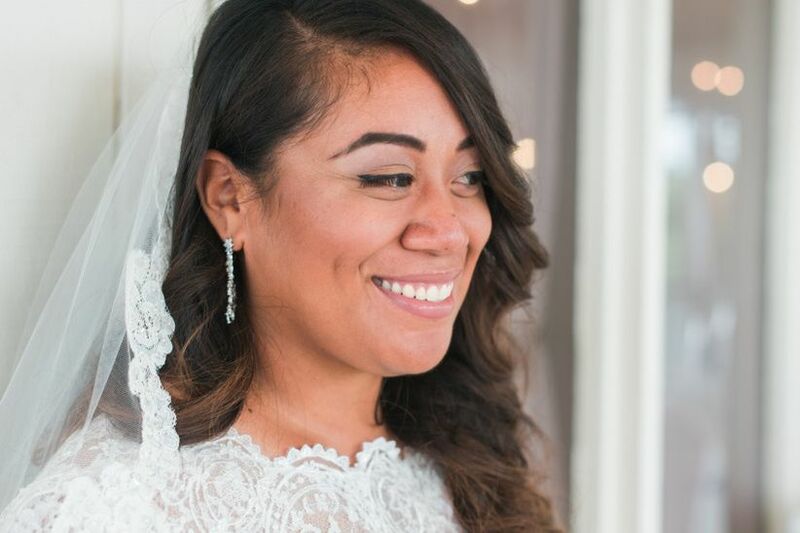 Brides are digging the undone and not-so fussy look when it comes to wedding dresses and bridal makeup—So we can see why the messy updo is a major hit. This relaxed look evokes a romantic vibe that’s effortless and airy. 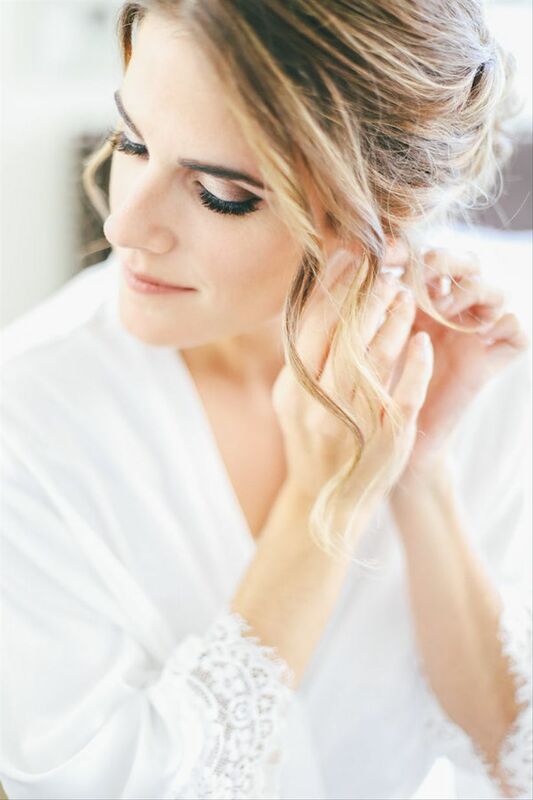 With a few loose strands that stray away from the updo and frame the face, the messy updo is the perfect choice for 2018 brides marrying outside or over the summertime. Pro tip: curling the loose strands will enhance and create a whimsical bridal hairstyle. Similar to the Old Hollywood waves we’ve seen in the past, this top wedding hairstyle for 2018 is definitely made classic brides-to-be. 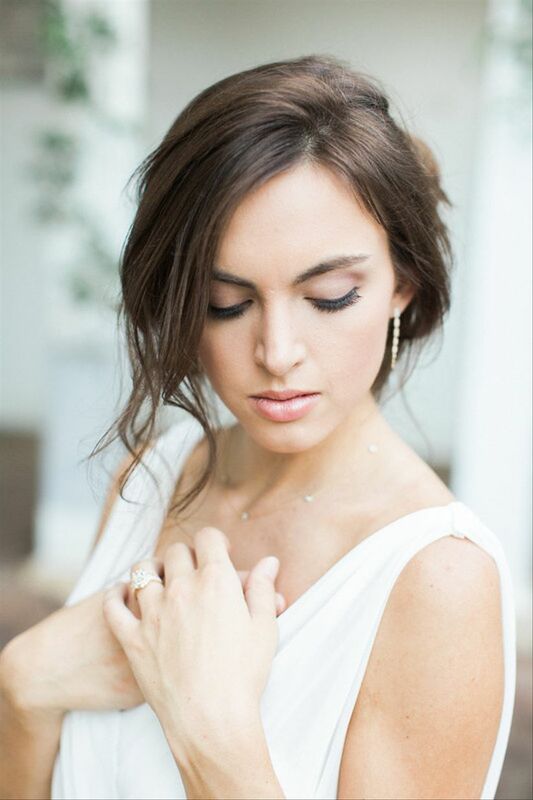 The romantic side swept look creates a timeless and beautiful bridal hairstyle that works well with almost any neckline. 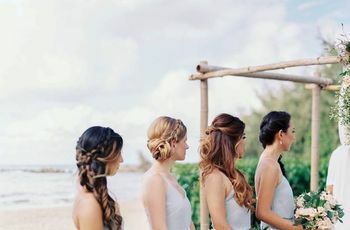 This hairstyle is also a great choice for brides wanting their hair down, but still out of their face on the big day, too. Just make sure to part your hair all the way to one side in order to achieve this full and wavy look. 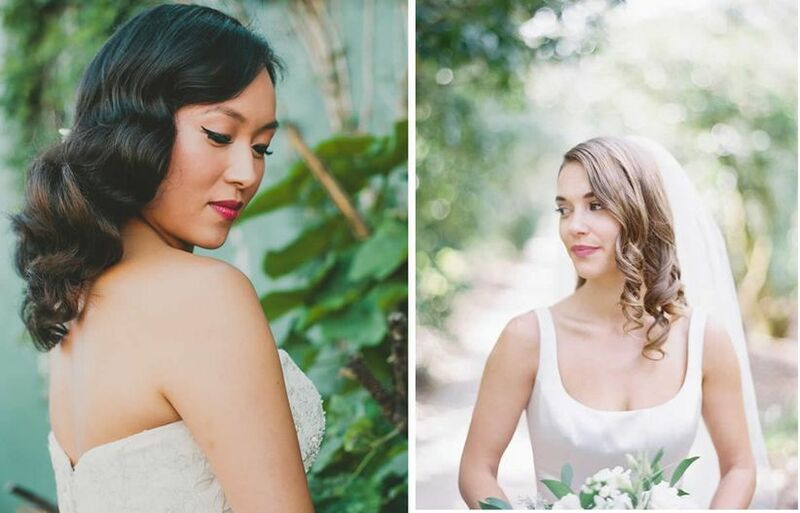 From lace-edge veils to blushers, the curly side swept look pairs well with tons of veil styles, too! Brides who want to add a bit of glam to their hairstyle should definitely opt for this wedding day look. 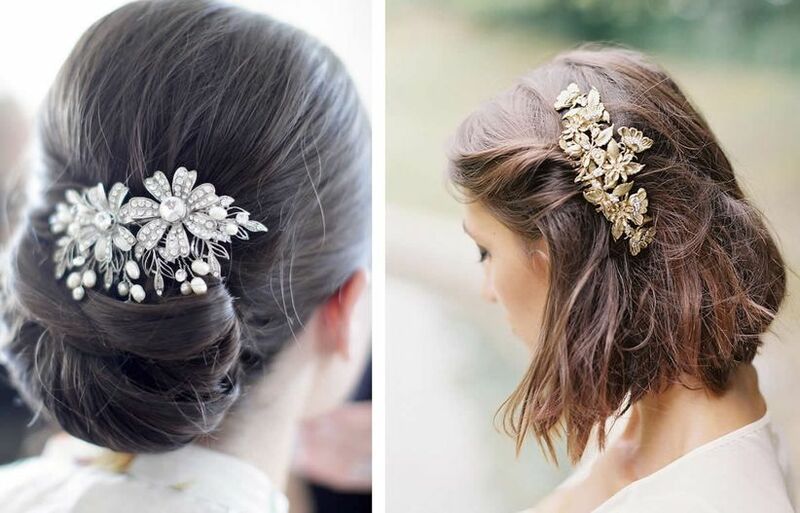 Hair comb accessories compliment almost any hairstyle and are basically like a decoration to your ‘do. 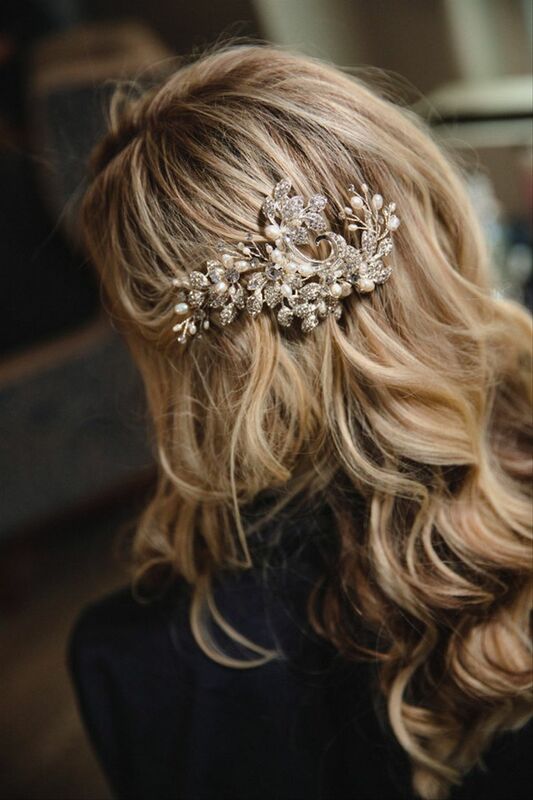 Whether you prefer something with rhinestone embellishments or perhaps a comb with gold-leaf shaped like butterflies, hair combs are our favorite accessory for 2018 wedding hairstyles. 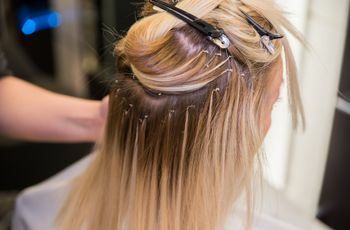 In lieu of the boho floral crown we’ve seen in the past, hair combs are coming the new “it” accessory. 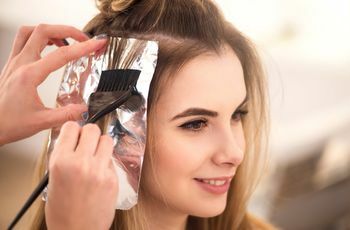 They can jazz up any hairstyle—no matter the length or texture of your hair—and can be saved and worn again as a keepsake from your big day.